Europe has an obvious economic and security interest in the success of the Eastern Partnership initiative, Foreign Minister Péter Szijjártó said after meeting with Viktor Dolidze, Georgia’s state minister for European and Euro-Atlantic integration, in Budapest on Wednesday. Speaking at a joint press conference with Dolidze after the meeting, Szijjártó noted that Georgia signed a trade and cooperation agreement with the European Union in 2014 and the EU issued a visa waiver for Georgian citizens earlier this year. Hungary supports the Georgian initiative to start talks with the bloc on security and defence cooperation, he said. Szijjártó said Hungary is a committed supporter of Georgia’s Euro-Atlantic integration and would continue to support all of that country’s aspirations to cooperate with NATO and the EU in the future, too. 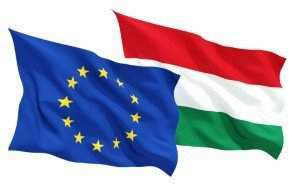 Hungary will also support the EU in ensuring that the European partnership initiative is a success, the minister added. 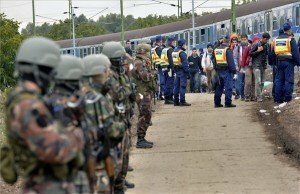 He noted that there are 12 Hungarian soldiers participating in the EU’s monitoring mission in Georgia and added that Hungary would continue to take part in the mission. Szijjártó said that with its past contributions to the military alliance, Georgia deserved to be invited to join NATO‘s Membership Action Plan. Failing to invite Georgia to the Membership Action Plan could undermine NATO’s credibility, Szijjártó warned, arguing that the alliance had an interest in proving to as many countries as possible that “its doors are open”. Dolidze said that strengthening ties with the European Union were “very significant” for his country and thanked Hungary for supporting the process. He said Georgia was in the process of undertaking important reforms as part of deepening its ties with the EU and expressed hope that his country would soon become a full-fledged member of the bloc.